The Den-Con Casing Elevator/Spiders are available in 350 ton, 500 ton and 750 ton rated capacities. The 350 ton and 500 ton tools will handle 4 1/2” - 14” pipe sizes. A larger 500 ton tool handles 16” - 24 1/2” casing sizes. 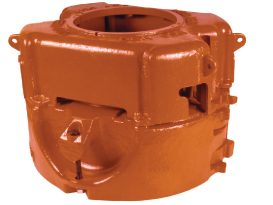 750 ton casing tools are also available in two body sizes. One handles 6 5/8” - 14” pipe and the other size is for 16” - 24 1/2” pipe sizes. 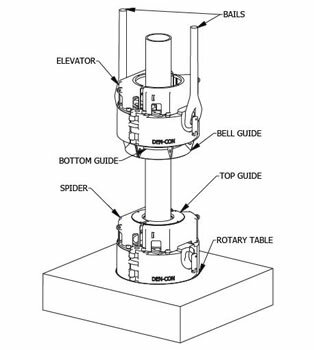 All Den-Con Elevator/Spiders are designed for pneumatic operation using the rig air supply. The system may be manually operated if the rig air supply is temporarily lost. All Elevator/Spider units are manufactured and tested according to the latest industry standards.